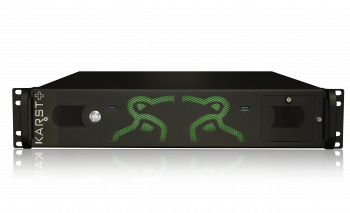 During the last Prolight & Sound in Frankfurt, Elation presented their new hybrid Wash/StroeE/Blinder for the very first time in the Eurpean market. 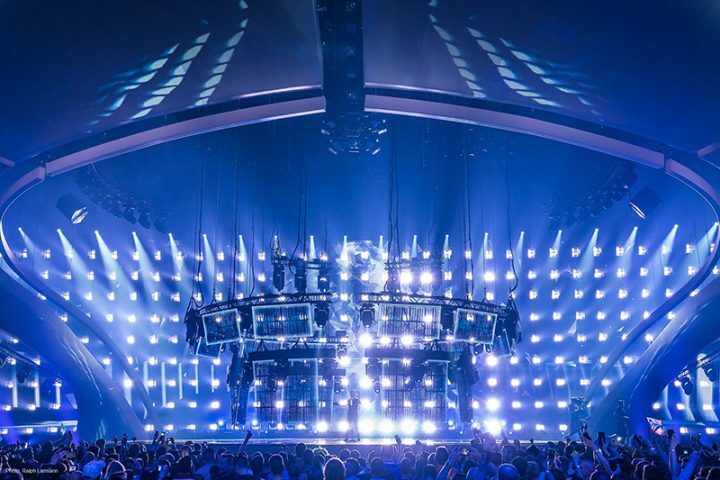 Since that release, Paladin has been chosen by many lighting designers, of international importance, to be used in high-profile productions including the Eurovision Song Contest in Kiev. 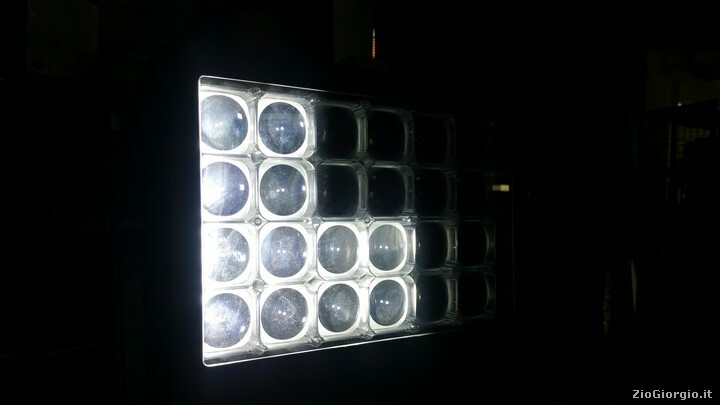 Intrigued by this notoriety, we decided to take a closer look at the characteristics of a fixture that has a plethora of interesting features and is complete with all the functions necessary to manage and model the light to its fullest extent. The combination of these effects enable this fixture to extend far beyond a simple wall-washer. 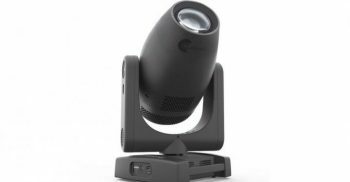 In fact, in addition to the particular 4-in-1 LED chip featured, we find a zoom with a large excursion, the ability to control groups of pixels, an advanced colour mixing system and carefully designed lenses that promise excellent results. All of this is presented in an IP65 rated product, again pushing the creative boundaries that can be explored with the unit. 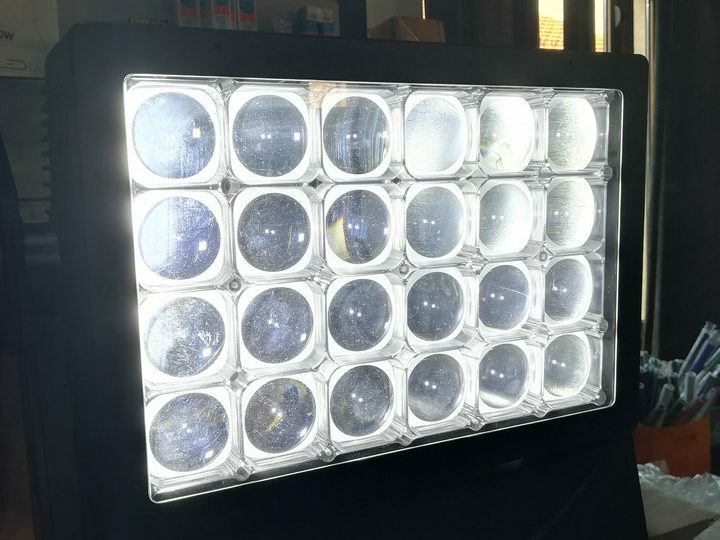 Paladin presents 24 x 40W RGBW LED sources, which sit behind a system of lenses that have been designed, in our opinion, incredibly well. They are capable of amplifying and optimally managing the beam outputted by the single LED chips. Externally we note the two handles that facilitate easy transportation and positioning, alongside a rigging system that allows for different types of hanging or positioning on the ground, according to the needs of the user. On the back, three easily visible and well-protected fans make up the cooling system for the light source. 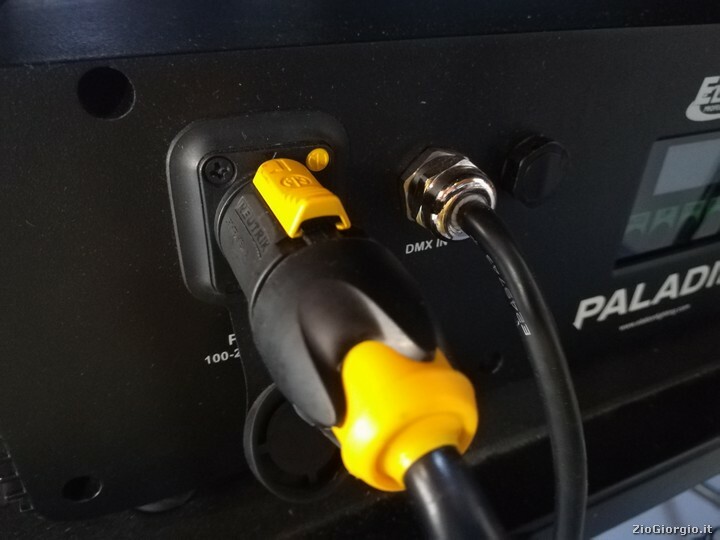 The base of the fixture presents a powerCON connection placed at either end of the unit, to simplify cabling into a ring of fixtures, as indeed is also the case with the DMX connections. The latter is also equipped with two extensions that allow for the linking of two fixtures when they are positioned close to each other, without necessarily using other signal cables. 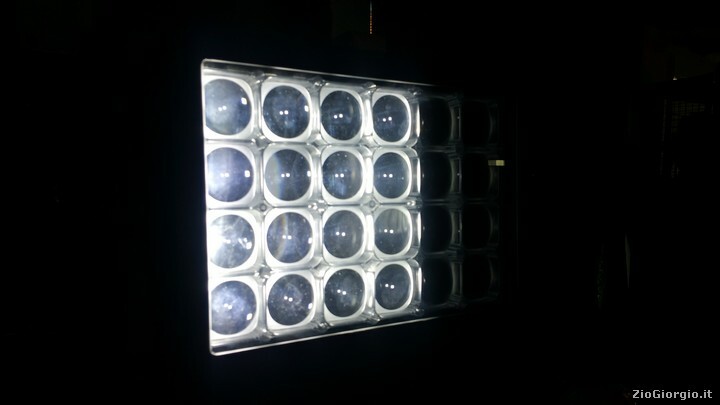 This helps to maintain the IP65 rating of the fixture. The control panel allows for access to all features of the projector and allows the user to work easily, quickly and intuitively in manual mode. Our final observation concerning the outward appearance of the unit is the presence of an inclination scale in correspondence with the manual tilt adjustment system. This allows for precise replication when positioning and aiming several fixtures to the same angle. 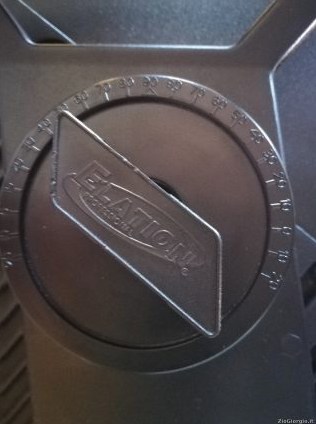 This is just one feature that denotes the particular attention and care that Elation has dedicated to this product, particularly when considered alongside the various features we will go on to mention. Taking a look at the manual for Paladin, it is evident that a great deal of work has been put in to “balance” the number of DMX channels of each mode and the management of the pixel mapping. 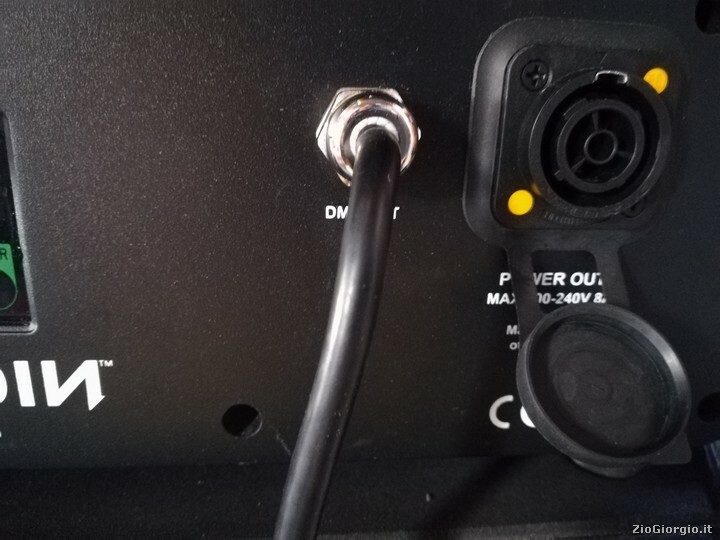 It is common that, when dealing with a fixture with the possibility of individual pixel control, it’s all too easy easy to reach a number of channels that complicate management, increasing scheduling times and the number of universes used. However, with Paladin there are a maximum of 6 different zones instead of 24, so as to bring the number of channels relating to colour management to a maximum of 24 (6 Zones of 4 RGBW colours) instead of 96. This is achieved whilst still offering a wide possibility of different effects, thanks also to the FLIPSET parameter which allows to change the order of the 6 zones with 12 different combinations. We tested the fixture inside the Orione Store in Porto San Giorgio (FM), with Germana Sorbi and Gianluca Ponzanetti, who kindly gave us the showroom of the well-known store in the Marche region. 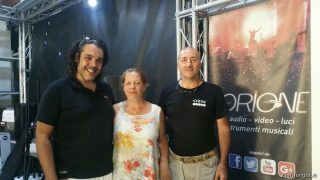 Our two experts offered their technical assistance and supplied the light control system to perform the test. Once connected and configured, we analysed every functionality of the fixture, starting from the combinations of dimmer and zoom. It could be argued that these are the two parameters that significantly represent the quality of this product. As we see on reports from Elation’s website, the power of the unit has been declared and certified by an external body, something that was clearly evident from our tests. There is a clear decision to implement a CRI that is not too high, for the benefit of an use as an effects machine, as well as a zoom range of 6° to 32°. This allows for the production of a well-defined beam, as well as wide strobe effects and pixel zone control at different apertures. 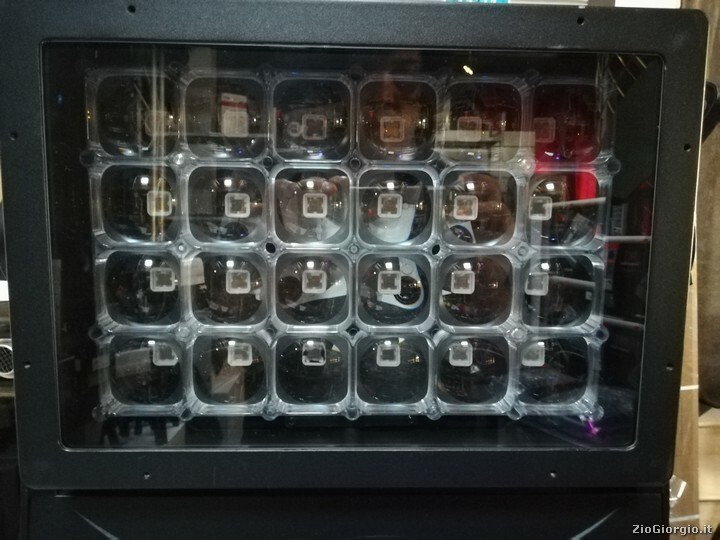 The response when using as a blinder and strobe is fast and functional, both taking advantage of all 24 LEDs simultaneously. 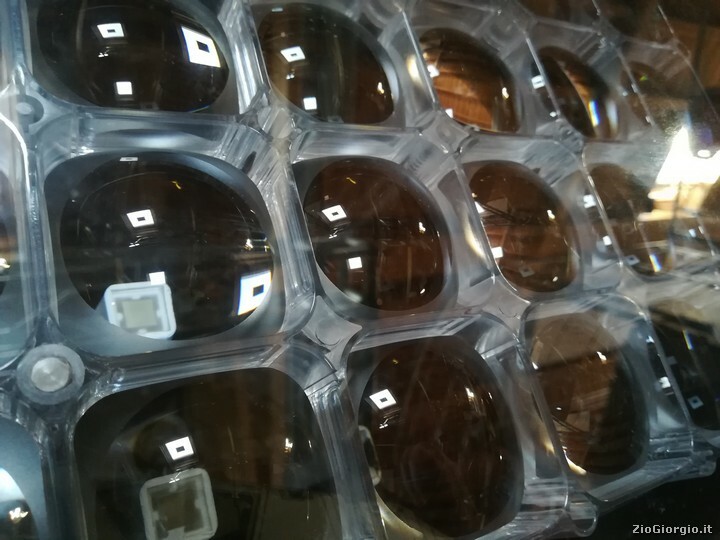 Alongside this we have the ability to control individual areas of the fixture, giving rise to an original effect especially when combined with a low-intensity colour base, from which interesting volumetric effects can be produced. 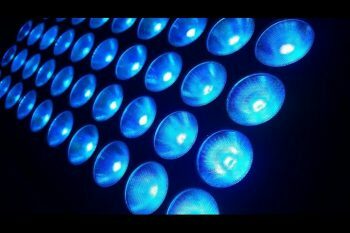 Another useful feature is the application of basic and standard DMX modes. 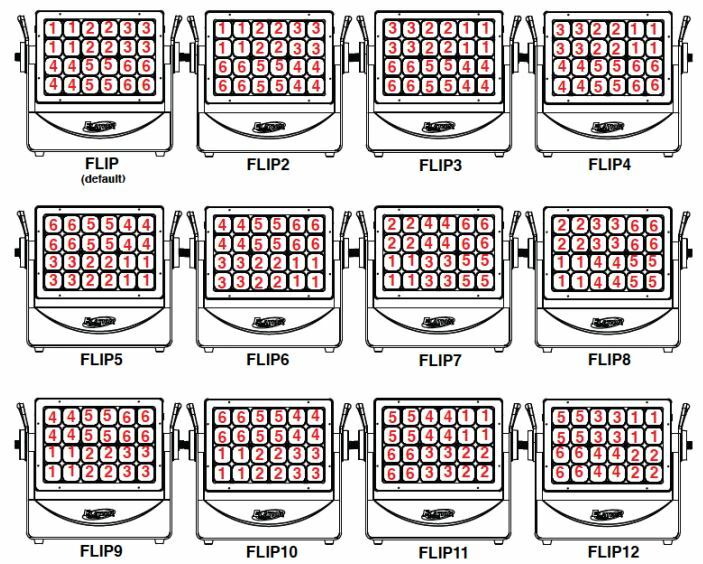 Whether working on one DMX are or Three, there is the ability to recall 15 different macro pixels by adjusting speed and fade of each. In our opinion, the colour mixing system is well balanced, flanked by 64 macro colours ready for use. Within these, we particularly noted excellent values for CTO and CTB. 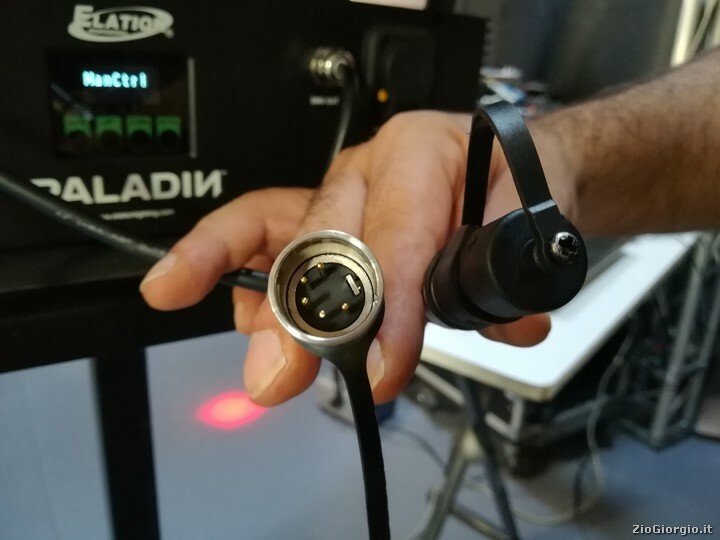 Finally, the particular attention given to making paladin suitable for theatre and television use is impressive, with the ability to directly adjust the Refresh Rate and Gamma Brightness parameters directly from the fixture. 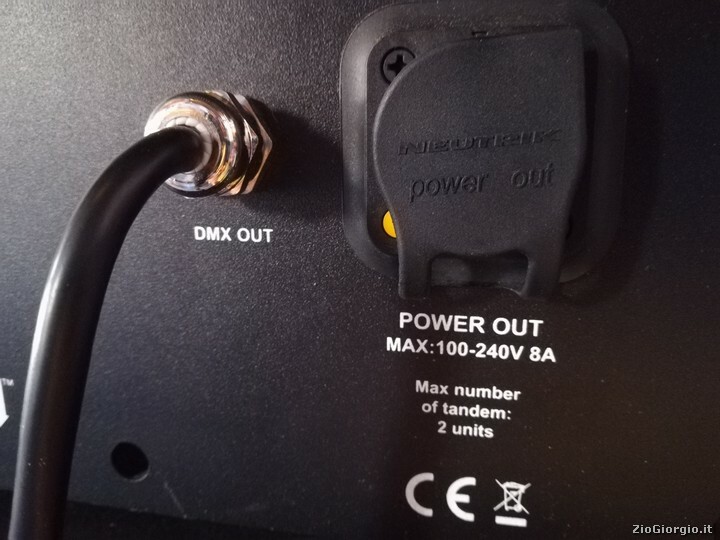 It is also possible to use a dedicated DMX channel to set the dimmer curve, recalling modes for Stage, TV, Architectural and Theatre. 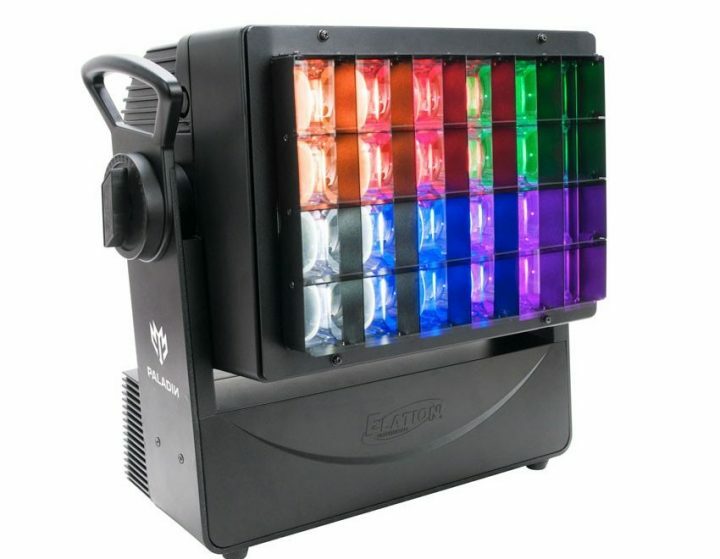 With Paladin, Elation has created an ideal product for basic uses like Strobe, Wash and Blinder, as well as adding the possibility to manage groups of pixels. This provides an added value to each of the three base features, stimulating the imagination of Lighting Designers with a number of DMX channels that is not excessive. This was clearly evident during the 2017 edition of the Eurovision Song Contest. During a recent visit to Elation’s European distribution centre in the Netherlands, we spoke with Ola Melzig, who together with LD Jerry Appelt managed 351 Paladins arranged in a matrix behind a huge semi-transparent LED video wall. 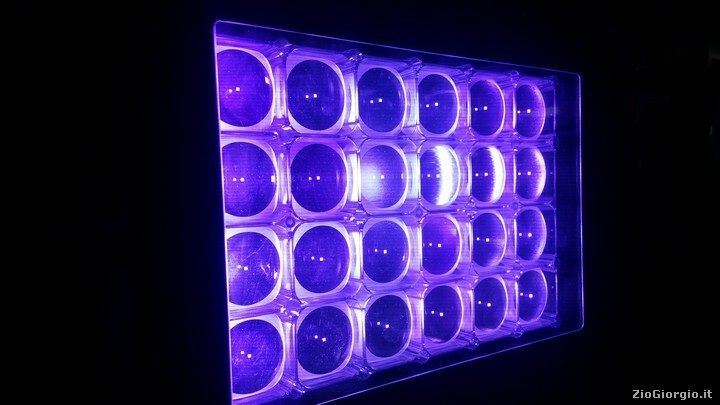 Ola has described this fixture as an essential element of the show, one which integrates perfectly with the immense LEDWall thanks to its ability to be used in variety of different ways, creating applications featuring both originality and creative innovation. Alongside Paladin, Elation provides two accessories on request that further enrich the possibilities of the fixtures use: a barn door that allows you to better address and tighten the light beam, as well as an egg crate grille that effectively softens and limits the dispersion, allowing the use of the projector as a soft light.